VICE President Minister Emmerson Mnangagwa has allayed fears some MDC-T MPs and senators elected to the house through proportional representation in 2013 may lose their seats.This comes as the main opposition’s legislative representation continues to be whittled down through by-elections. According to the new Constitution, 60 national assembly seats are reserved for women, 60 senatorial and 10 persons on each provincial council, elected on the basis of proportional representation. Of the 60 seats reserved for women and 60 senatorial seats, six came from each of the country’s 10 provinces. The MDC-T, which has vowed to boycott current and future polls claiming rigging by Zanu-PF, has since lost 14 seats to its rivals. The loss has all but altered its winning margins of 2013, meaning those who claim the right to make the current legislature based on those margins now occupy the seats by default. But Mnangagwa, who is also Justice, Legal and Parliamentary Affairs minister, told Parliament last week that the MPs will not be dislodged from the house on that basis. 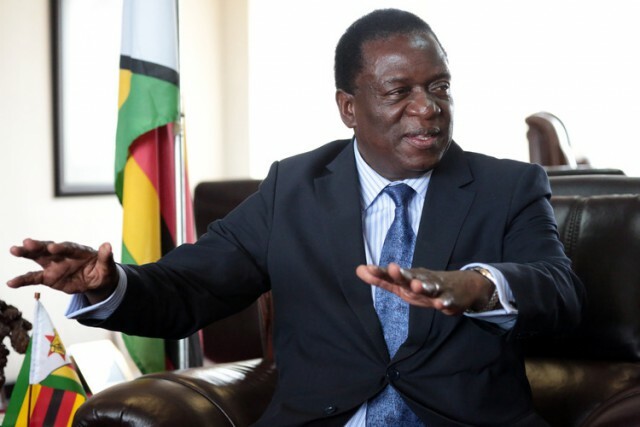 “Proportional representation, as stated in our Constitution and also as it applies in the Electoral Act, means that whatever happened in the 2013 elections also determined the proportional representation, not the by-elections…” Mnangagwa said. He added: “… and it was through those votes which made us allocate the seats according to the proportions garnered by each individual party. That is why such seats were elected. Mnangagwa was responding to a question by Buhera MP Joseph Chinotimba who asked if Zanu-PF was also “going to take the proportional seats” now under the MDC control as per the 2013 outcome? Under the political Parties Finance Act, parties that garner at least five percent of the national vote are also entitled to some funding from the state, and, the more the votes, the bigger the government disbursement.